*St Anselm was originally buried within this church; however, upon the closing of this monastery by the orders of King Henry VIII his relics were lost. 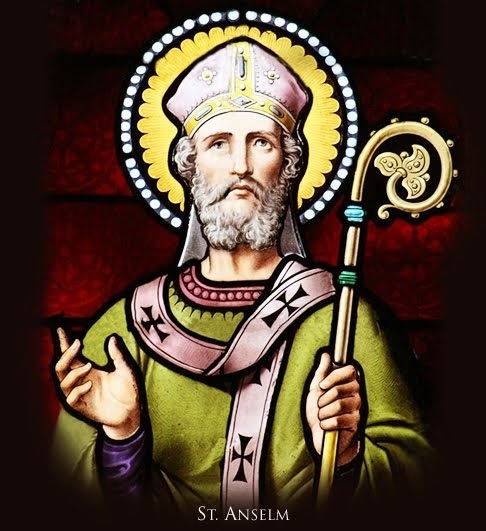 Nevertheless, the memory of St Anselm continues within the chapel dedicated to him on the right side of the nave. *For centuries this church also housed the tomb St Thomas Becket (d. 1170). During the English Reformation, however, this tomb was destroyed. Some of his relics, nevertheless, still exist throughout the world. *In the 11th century an arm of St Bartholomew was gifted to this church. However, this relic is also lost.